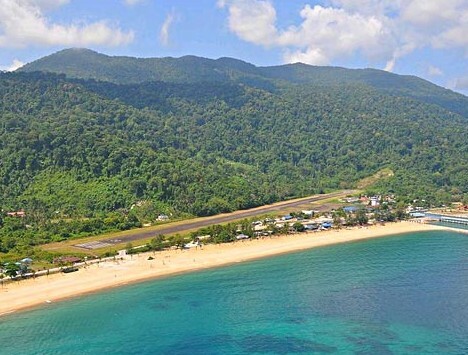 Takeoffs are relatively uneventful at Tioman Airport, it’s the landings that give passengers the willies – the crew as well: in the video above, check out everyone wearing life jackets as the plane makes its (hopefully not) final approach! Landings are much more peaceful… for the passengers. 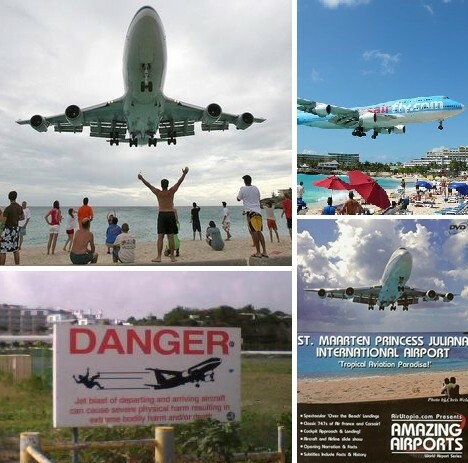 Huge airliners including 747 jumbo jets fly so low over Maho Beach on their approach it seems a wonder bikini-clad vacationers don’t get sucked into the engines. 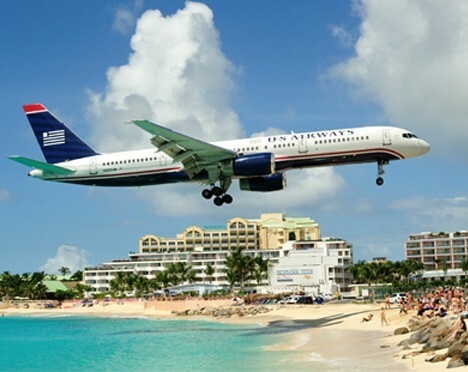 Oh to be in the video above: you’ve saved up your money, arrived on St. Maarten, and now at last you’re relaxing on the sands of Maho Beach. Could anything interrupt the peace and quiet of this dreamy tropical paradise? Did you really have to ask? 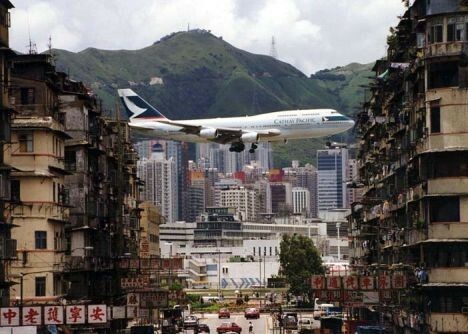 The busiest international airport in the United States, on a list of the world’s most dangerous airports?? 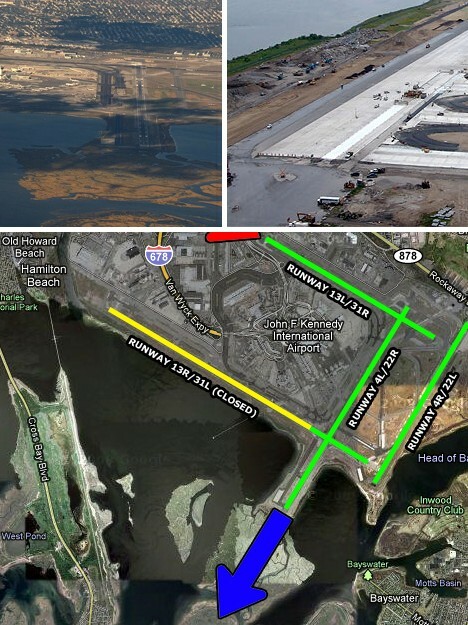 Believe it, though JFK Airport’s Runway 13L is the one in the spotlight here. Approach to the runway leaves little room for error, as Jamaica Bay looms on the right and the surrounding wetlands offer no safe harbor. As well, pilots have only 5 miles of visibility owing to a circular approach pattern required to avoid any aircraft arriving/departing from La Guardia or Newark. 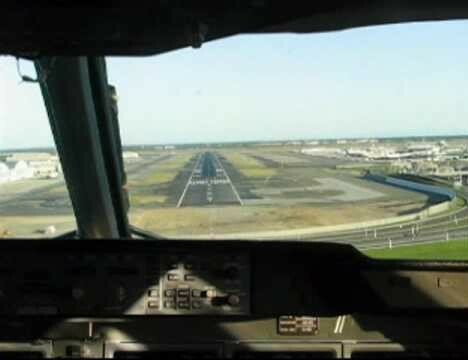 Check out a video of a jumbo jet landing on JFK’s Runway 13L, above. Currently Runway 13R-13L is undergoing a series of upgrades and improvements designed to better accommodate Group VI aircraft including the Airbus A380 and Boeing 747-8. One of these upgrades involves widening the runway from 150 feet to 200 feet – approach procedures will remain the same, however, and may prove to be even more challenging for the pilots and crews of these larger jets. Runway 13L at JFK is 14,572 feet (4,442 m) long… compare that with the runway at Toncontin Airport in Tegucigalpa, capital of the Central American country of Honduras: just 6,112 feet (1,862 m) in length. The shortness of the runway makes landings by any jets larger than a Boeing 757 impossible; those by smaller jets are merely improbable. Toncontin has a number of strikes against it. It’s situated in a valley 3,294 feet (1,004 m) above sea level, surrounded by mountains. 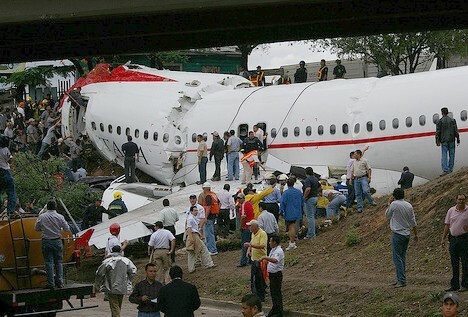 Forget to buy travel insurance? Too late for that… but not too late to pray. In the above video shot by a cameraman perched on the rim of the valley, the pilot of a large passenger jet begins his quick descent into the bowl-shaped valley where Toncontin Airport lies after conducting a last-minute 45-degree bank to line the runway up. The passengers shouldn’t complain overly much – they got transportation into Tegucigalpa plus a roller-coaster ride at no extra cost. 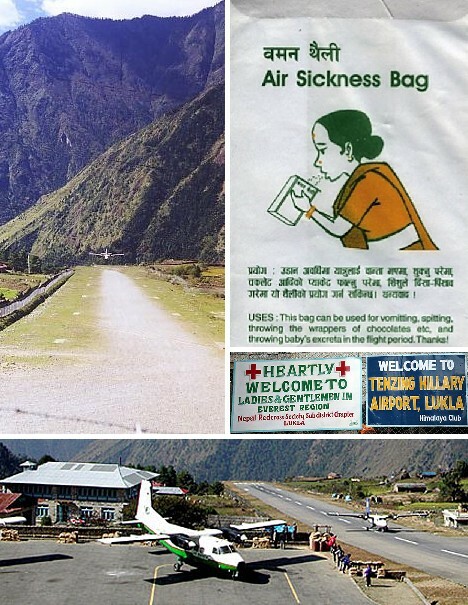 From bad to worse: Tenzing-Hillary Airport in Lukla, Nepal, is named for the first two mountain climbers to reach the summit of Mount Everest. That should ring a few warning bells. 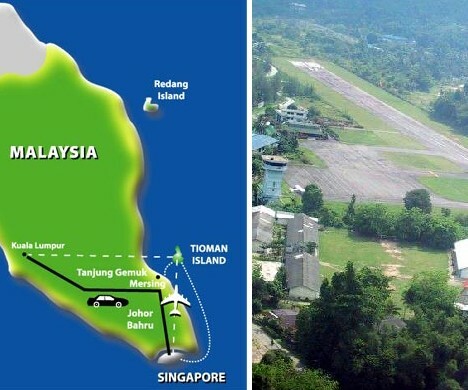 The airport operates at an altitude of 8,000 feet (2,438 m) and has virtually no modern air traffic control features – not even lights, and very little electric power at all. 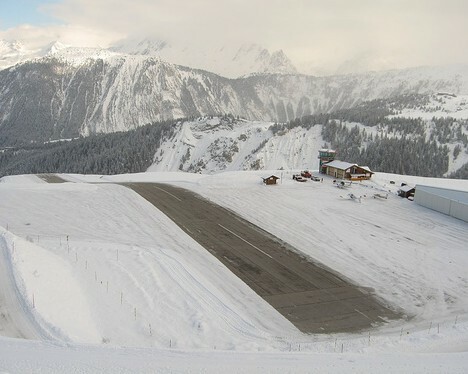 Situated on the only semi-flat land in the region – the runway slopes at a 12 degree angle – the airport only allows daytime landings by Yeti Airlines, whose pilots are expected to be familiar with the conditions. 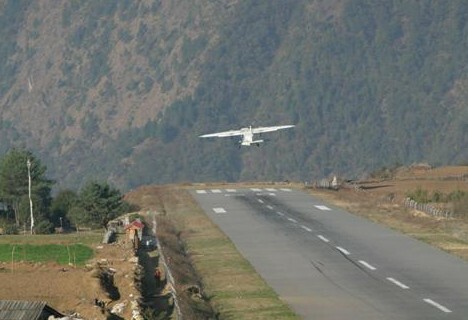 The above video clip shows a typical landing at Tenzing-Hillary Airport… definitely nothing to “yak” at. Even Yeti Airlines has trouble flying into the airport on occasion, especially when low-lying clouds reduce visibility to next to nothing. The above astonishing video was taken by a German tourist and shows a Yeti Airlines plane crashing as the result of a too-low runway approach. 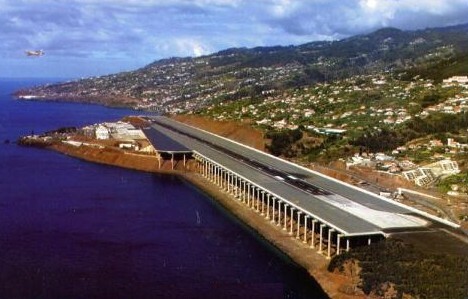 Gibralter Airport also has a very short runway, just 6,000 feet (1,828 m). 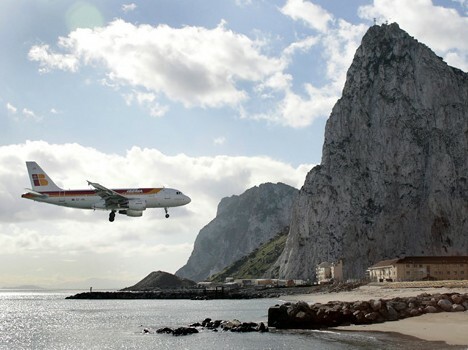 If you thought Gibralter was the Rock and not much else, you’re mostly right – the runway is squeezed between the Mediterranean Sea and the immense, unyielding fastness of the Rock of Gibralter. Adding to passengers’ anxieties is the fact that the weather around Gibralter is often poor, forcing incoming jets to divert to Malaga, Spain or Tangier, Morocco. I’m guessing most passengers hope for bad weather. 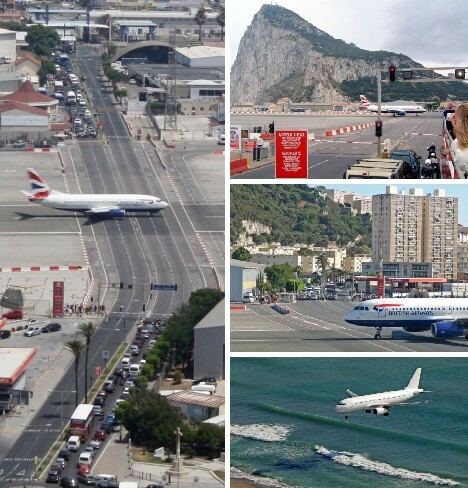 One of the odd things about Gibralter Airport is that a main road cuts across one of the main runways. 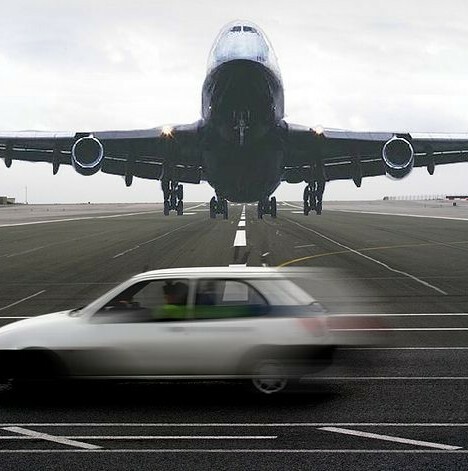 When planes need to take off or land, bells, whistles and a barrier come down to stop traffic much in the manner of a railroad crossing. 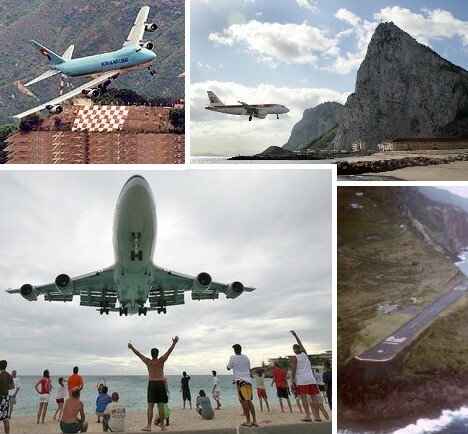 The above video gives one a strong impression of just how big the Rock of Gibralter really is, and, how close it is to the airport. 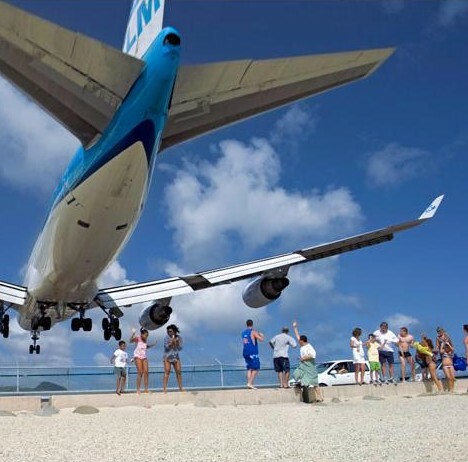 Looks like you could reach out and touch it… but don’t, because the pilots have enough on their minds as it is. 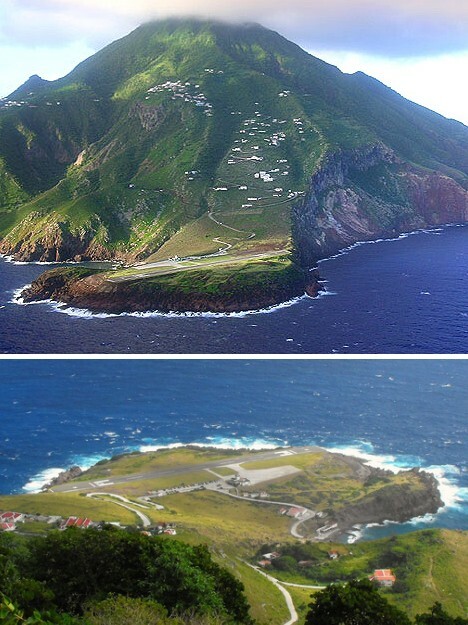 Juancho E. Yrausquin Airport is the only airport on Saba, the Caribbean island of Saba, the smallest island of the Netherlands Antilles. Saba’s land area is dominated by Mount Scenery, whose 2,877 ft (877 m) height makes it the highest point in The Netherlands, period. 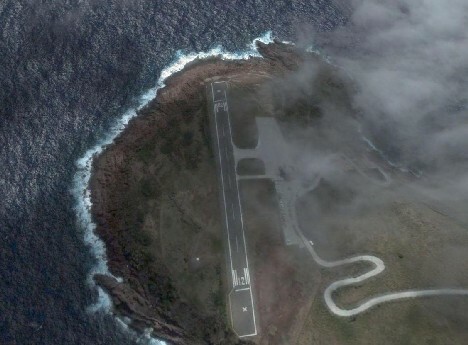 Heck of a place to put an airport, but they did anyway. 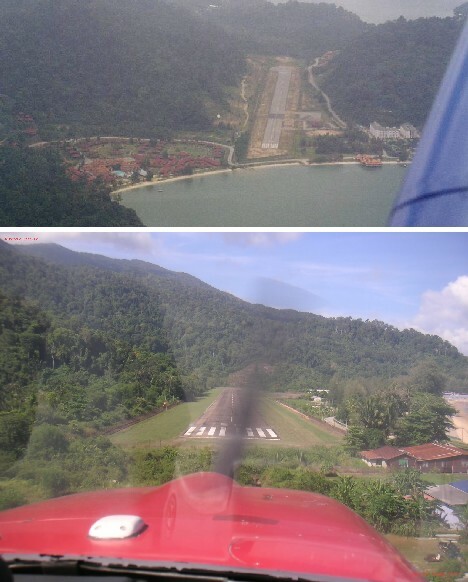 At only 1,300 feet (396 m) in length, the runway at Juancho E. Yrausquin Airport is too short for passenger jets and if your pilot has to circle around a few times before landing, bear in mind that aviation fuel is not available on the island. 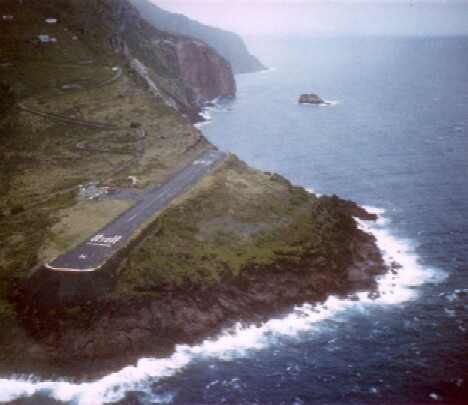 The runway at Juancho E. Yrausquin Airport is bordered by sea cliffs on three sides and mountain slopes on the fourth. 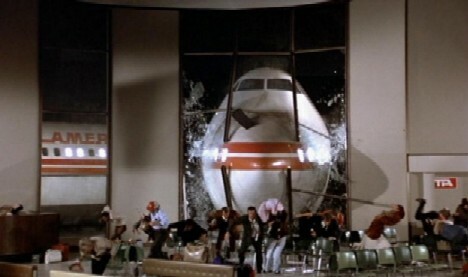 Though many aviation experts consider the airport to be one of the world’s most dangerous, its record shows no accidents or even incidents… yet. 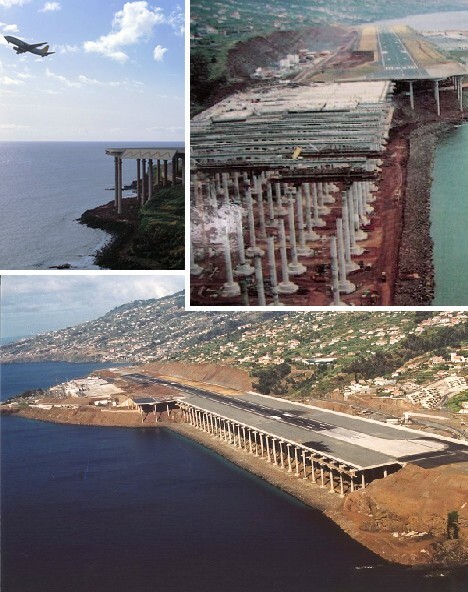 The two main runways at Madeira Airport (colloquially known as Funchal Airport) were just 5,250 feet (1,600 m) long when the airport opened for business in 1964. 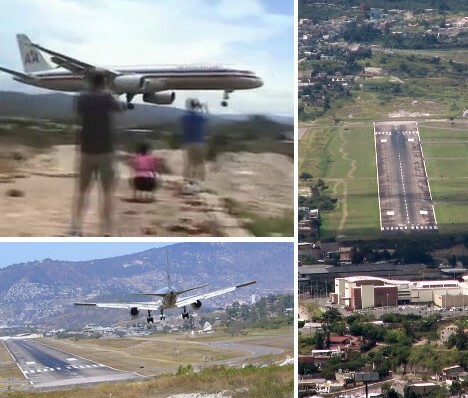 After a horrifying 1977 crash in which a Boeing 727 landed long, smashed through a stone bridge and ended up on the beach, one runway was extended by 655 feet (200 m). In 2003 the runway was further lengthened by extending it over the beach on 180 columns, each standing 230 feet (70 m) tall. 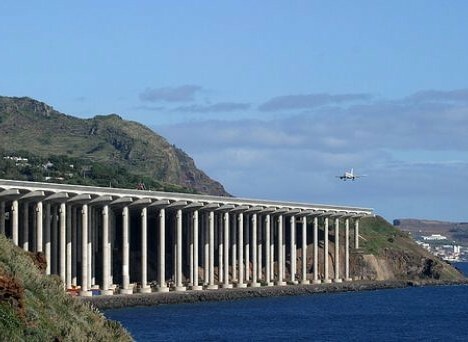 Lengthened or not, the basic approach to Madeira Airport remains tricky even for experienced pilots as the video above illustrates. 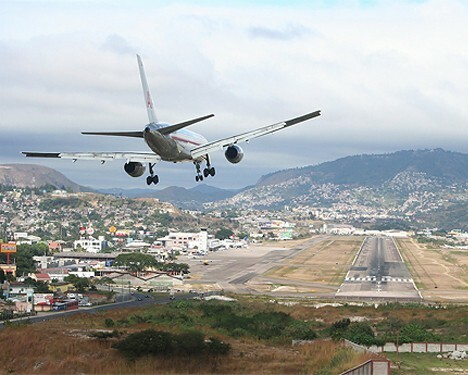 Against their better instincts, pilots must first aim the aircraft directly at a looming mountain peak, then quickly bank to the right in order to avoid crashing into the mountain – which puts them on a heading to the runway. And, lengthened or not, overshooting the runway and keeping your feet dry is NOT an option. Fancy a ski vacation in the French Alps? Then consider driving to Courchevel… seriously. 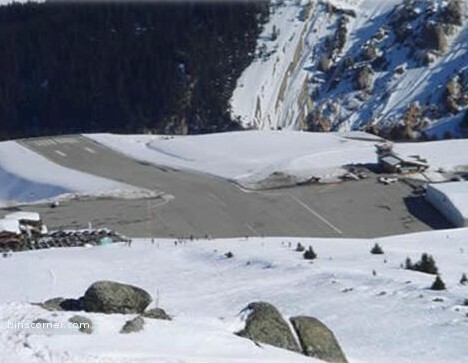 First off, the runway at Courchevel Airport is exceedingly short: just 1,722 feet (525 m). Second of all, not one of those 1,722 feet (525 m) is flat. 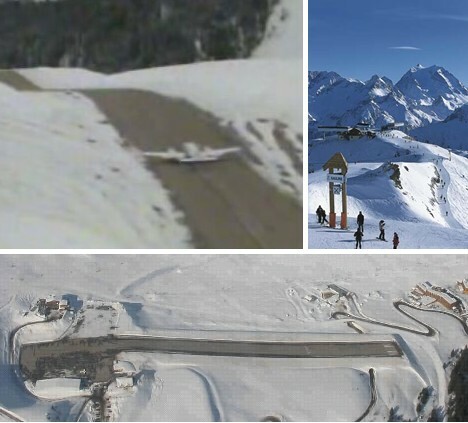 Landings at Courchevel Airport are even dicier, as the above video scarifyingly indicates. You’ll be reaching for your parachute whether or not you’re actually on the plane. 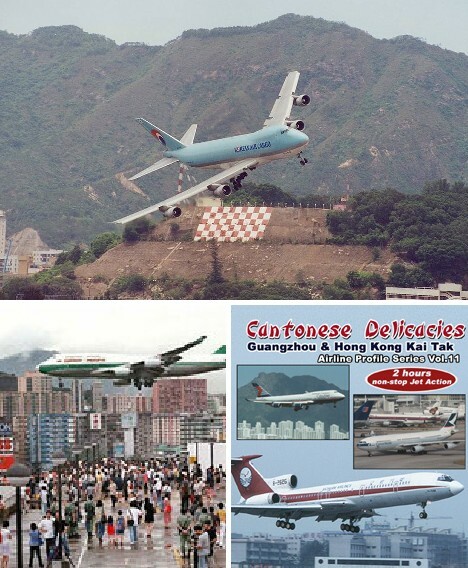 Kai Tak, the Mother Of All Scary Airports, has closed… words that should be spoken in the same awed yet gleeful tone of voice as “Ding, dong, the witch is dead!” Having personally flown into Kai Tak Airport twice during trips to Japan via Hong Kong, and having been warned of the airport’s extreme urban character beforehand, I still wasn’t prepared for the sight of apartment blocks and laundry lines practically lining Runway 13. How those peoples’ clothes didn’t reek from jet exhaust, I’ll never know. 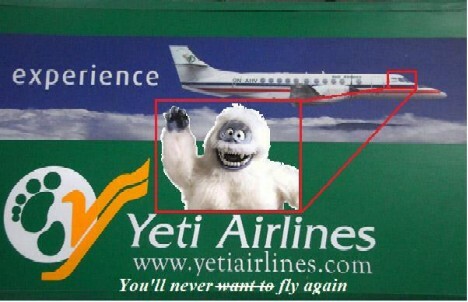 Still ready to fly the friendly skies? Sure you are… besides, there’s nothing scary in the skies themselves; it’s the getting there (and back) that tend to get the heart pounding. Especially if you’re taking off or landing at one of these 10 “scare-ports”.